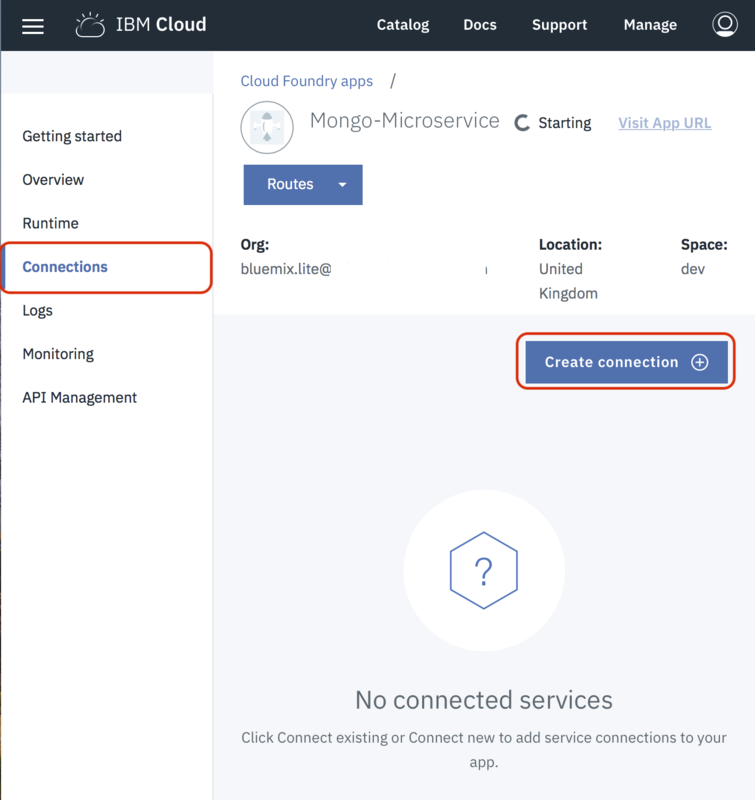 (03/21/2019) This tutorial has been updated to reflect the new Compose for MongoDB service name, IBM Cloud to Databases for MongoDB. 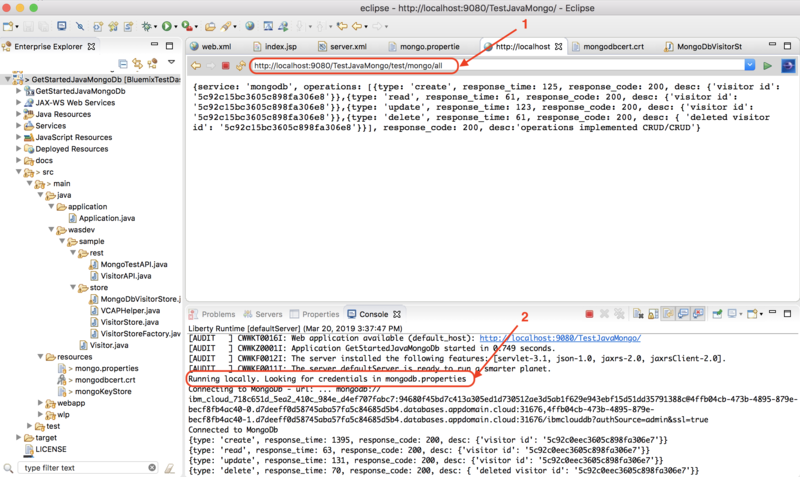 This particular how-to post is an example on using Databases for MongoDB that is hosted and managed on IBM Cloud. The approach shown here is to generate a JSON response file with the report from accessing CRUD operations and provide the time needed to access each and every operation, in addition to the total operation time. The example of the response file you will try to create can be seen below. An IDE. 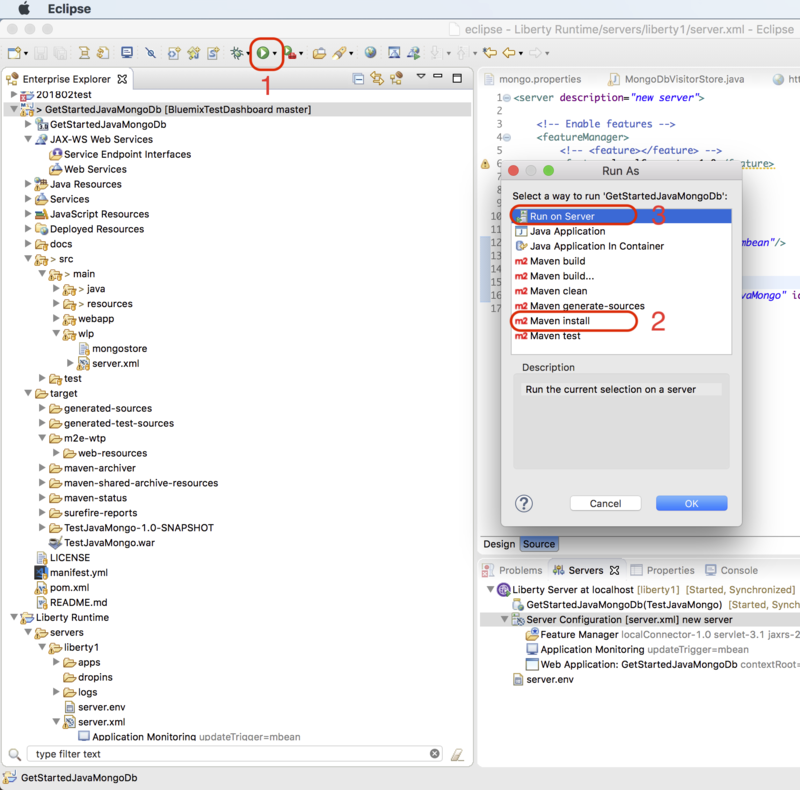 In this example I use Eclipse with IBM Cloud plugin to deploy the application to the cloud. That’s good enough for now. 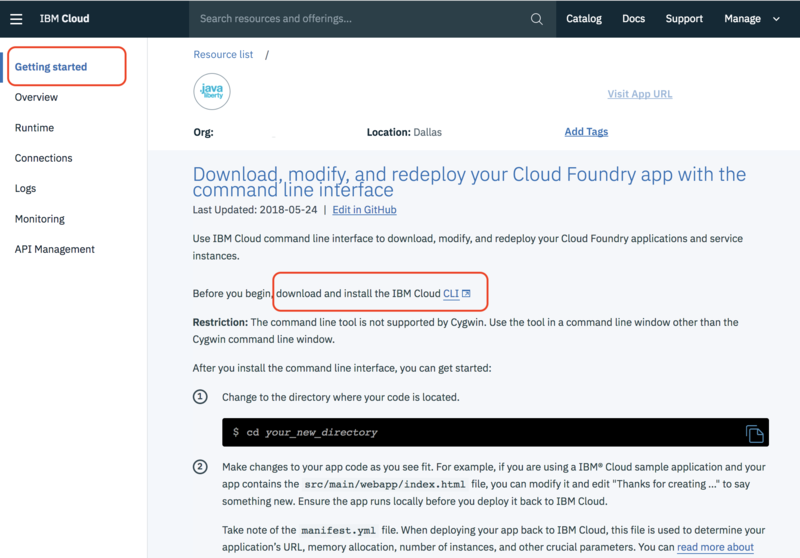 We’ll next provision a few resources on IBM Cloud and get back to the cloned repo. Log in to the IBM Cloud console. 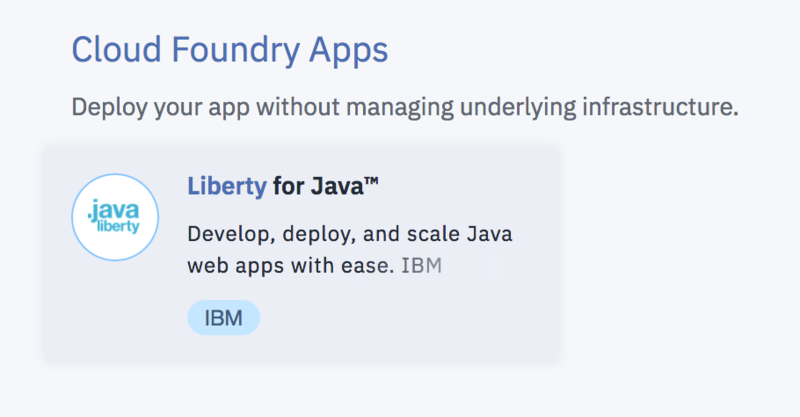 Search the Catalog for Databases for MongoDB and Liberty for Java. 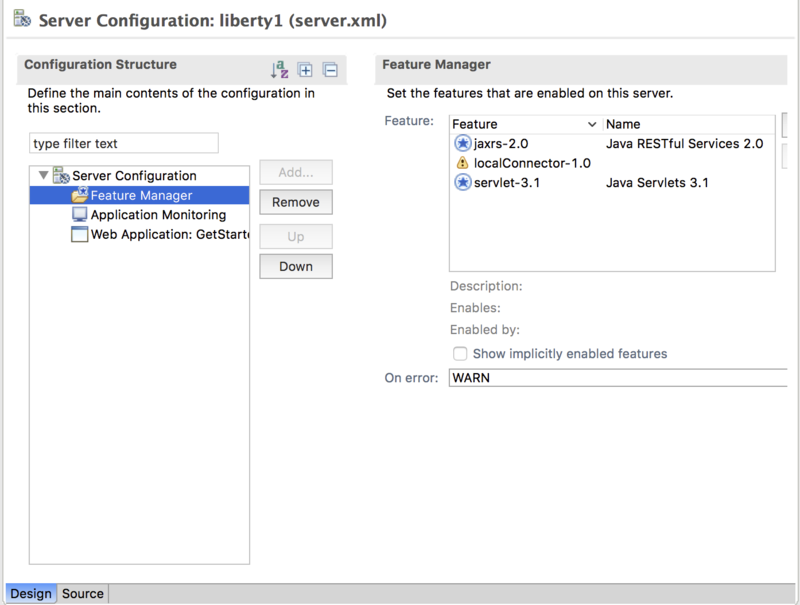 Select the Connections tab of the Liberty for Java service, and then click the Create connection button. 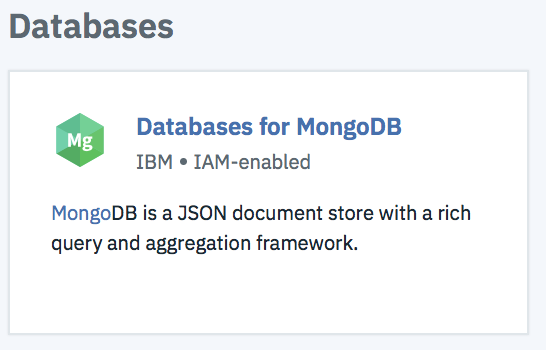 Select the Databases for MongoDB service. 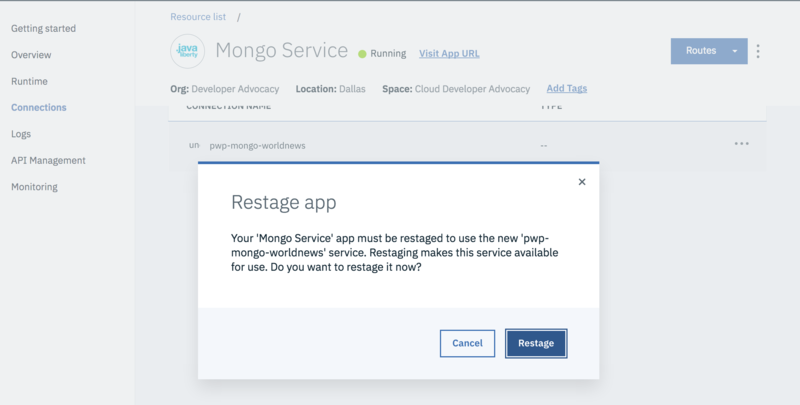 Go to the Service Credentials tab in the Databases for MongoDB service. javax.net.ssl.trustStore: The path to a trust store containing the certificate of the signing authority. javax.net.ssl.trustStorePassword: The password to access this trust store. Go back to the Databases for MongoDB console and get the SSL certificate encoded_64 available on the Credentials page. You will need to decode64 it. I used https://www.base64decode.org service to do it. When you decode the copied certificate, then you can use it in the next step. 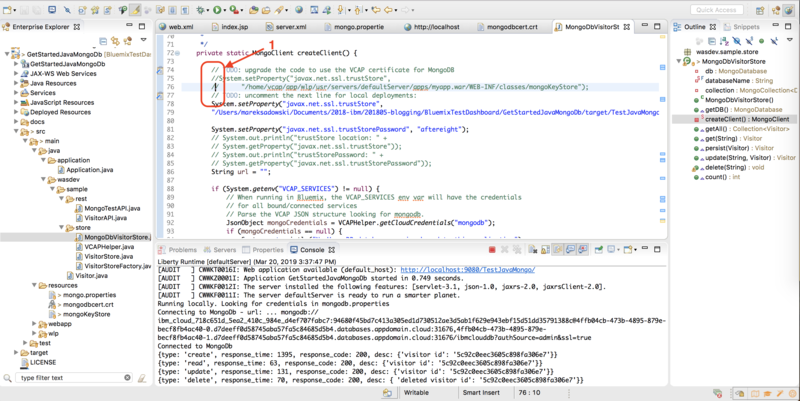 javax.net.ssl.keyStore: The path to a key store containing the client’s TLS/SSL certificates. javax.net.ssl.keyStorePassword: The password to access this key store. Selecting the Getting started tab. But check this out; the CRUD operation is 100x faster than the first call, and 10x faster than the remote call from your local machine. I hope you enjoyed reading this tutorial! My next tutorial will be about adding an app to read, parse, and store the results. Stay tuned, and please follow me on Twitter @blumareks or on Medium @blumareks for more updates!